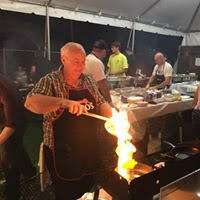 We focus on authentic Greek cuisine with all your favorite Greek dishes: Mousaka, Pastichio, Lamb chops, Lamb Shank, Lemon Chicken, Spanakopita, Greek Salad, Dolmades, Gyro, Tsaganaki, Souvlaki, and much more! Our Greek Taverna will be fully stocked with Greek Wine, Greek Beer, Ouzo, and Metaxa! 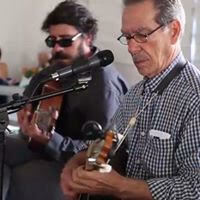 Greeks are united by their traditions, religion, language, music, food, and wine. 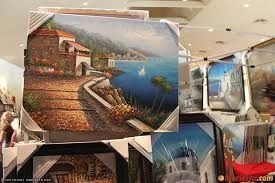 All of these form the backdrop of Modern Greek culture and Greece’s cultural identity. 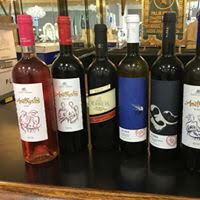 The Greek Taverna will be fully stocked with imported Greek Wine and Beer, Ouzo, and Metaxa! The bartenders will also be making Mimouzos…can’t wit to try that! The Greek Pastery Kitchen will be filled with homemade Greek pastries including Baklava, Diples, Galaktombouriko, Koulourakia, Melomakarouna, Kourambiedes, and much more as well as Greek coffee, Frape, rice pudding, Greek yogurt, Baklava Sundaes, and Loukoumades! Shop in our Greek Grocery and take home imported Greek olives, olive oil, honey, filo, Greek coffee, and many other Greek cooking supplies. A kids zone for the little ones and fun for the whole family! 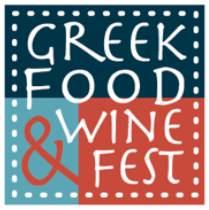 Join us at the Greek Food & Wine Fest...see you there, Opa! Free Parking available with shuttle service from St. Juliana's - south of Southern Blvd on Olive Ave. Paid Parking available on the corner of Washington Road and Southern Blvd. - $10 for main lot and $5 for grass lot.